Whether it’s one room or a whole house, interior or exterior, on site or long distance Miriam Stern can help. 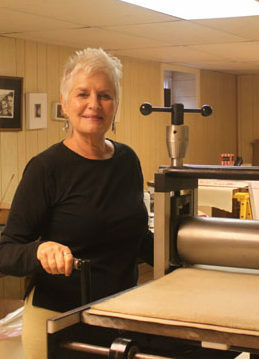 Miriam Stern is an award-winning artist who has been exhibiting her art for more than 25 years. She has also run a successful decorative painting business where she painted murals and created faux finishes for walls, floors, ceilings and furniture. Her experience working with architects, designers, and decorators enabled her to make the transition to become a color consultant. Her skill with paint and color together with her ability to listen to her clients and understand what they need has made her a knowledgeable and qualified color consultant. Miriam Stern will help you make the color choices to transform ordinary spaces in to extraordinary spaces. Learn more about how Miriam Stern Color Consulting works.